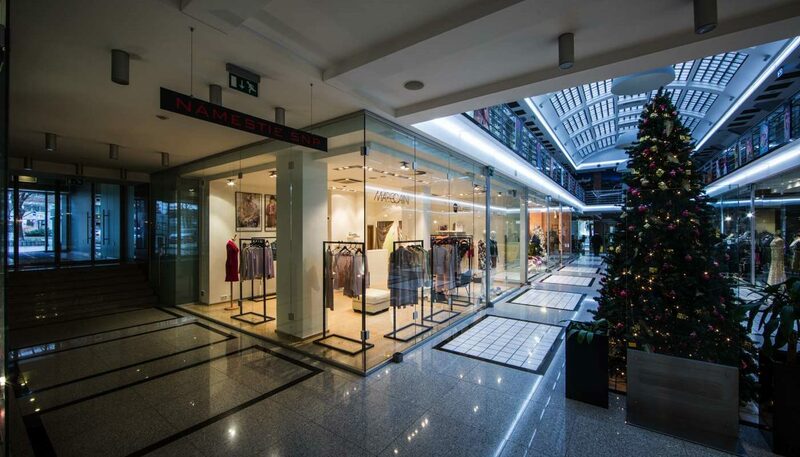 We are a dedicated follower of MARC CAIN – premium women’s brand store located in the historical center of Bratislava, in the building declared a national cultural monument in 1999. Functionalist building was built between 1928 – 1929. Reconstructed in 2006, it has a U-shaped footprint. The building was designed by Andrej Szőnyi and F. Wimmer architects. Terraced multi-functional house, Central Passage is located on Laurinská 17 street in the Municipal Heritage Reservation. mClasse is not just an ordinary store, we don’t offer a quick closet fix, nor impulsive purchases. It is rather a shopping adventure in the spirit of our philosophy “the art of combination”. We follow current trends, we know perfectly our products – meanwhile you relax with a cup of coffee or a glass of champagne. We look forward to a personal meeting, your messages and questions – feel free to contact us. Willing to help with new pieces that you must have, or we can combine your outfit for a special occasion, as well as choosing the perfect gift for your friends and relatives.